At the Kickapoo Valley Ranch Guest House, guests come for the solitude, stay for the hospitality and keep coming back for the cookies. 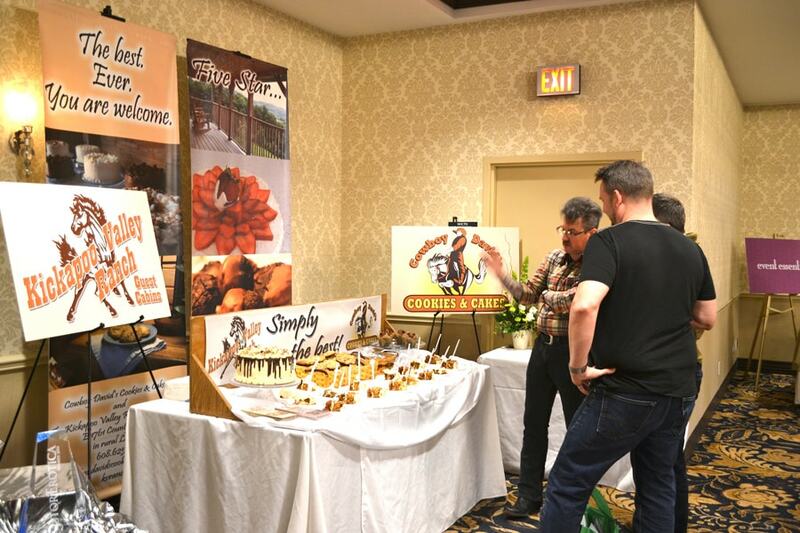 Located right inside the check-in office of the ranch, you can find Cowboy David’s Cookies & Cakes. Cowboy David’s offers an expansive range of pastry goods of 10 different cookies and a dozen types of cakes and cupcakes. Guests can enjoy treats like the Super Muffins, the Molasses cookie, Chocolate Raspberry with Raspberry Curd cupcakes and so much more. Of course, you can’t stop in without tasting the original Chocolate Chip Cookie, hand-crafted by David and his husband Joseph Rogan-Nordstrom. Established in 2003, the Kickapoo Valley Ranch Guest House is nestled in a rural, southwestern town called La Farge, Wisconsin. “It’s a crazy delightful, little town,” said Joseph. “If you don’t want to be around other people, it can just be the two of you.” Joseph goes on to say that with a population of 750 people, La Farge is quite, private, safe and sound with a small town, community atmosphere. From the first guest, Joseph and David wanted to have special details that people weren’t finding in other places, especially their Original Chocolate Chip Cookie. And thus, in 2013, Cowboy David’s Cookies & Cakes baking studio arrived. When asked if they ever thought about breaking into the bakery business before, Joseph said, “not even a zillion percent ever. For 10 years, we never sold a cookie – it was just something we did and we wanted people to have a good tasty treat.” Joe and David also provide dairy-free items for those, like Joe, who are lactose intolerant. As a member of the LGBT Chamber of Commerce, Joe said it was “a logical, no-brainer to be about of the chamber.” He and his husband David want to continue to be a part of the LGBT community, reach out and make a difference. “It’s a huge thumbprint of who we are as people – it’s the perspective we look at life from,” said Joe. With the tattoo of the word ‘Joy’ under his left arm, Joe is determined to bringing joy and diversity to everyone who walks into his life and to those he’s able to reach through the LGBT Chamber of Commerce. Cowboy David’s provides catering for weddings and special events from Madison to Minnesota. For more information, visit their website at CowboyDavidsCookiesAndCakes.com.